Thomas Mar Athanasius Institute of Counseling - [TMA] is a medical college located in Kerala and is just 9 km away from the Kottayam Town. The college is governed by a proper governing body which consists of 10 members, inclusive of Rt.Rev.Dr Mathews Mar Makarios who is the Chairman. 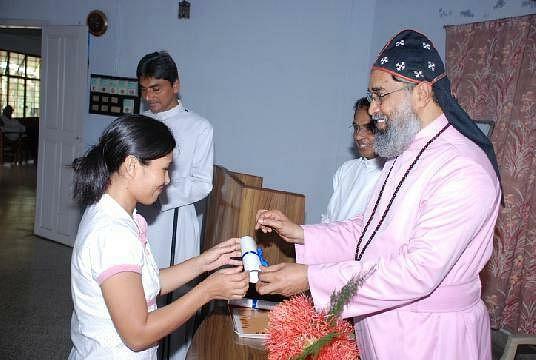 It was founded by Thoma Mar Church in 1984 with an aim to provide proper counseling sessions for the benefit of people. It is affiliated to Serampore University and has been active in counseling services, research and training from the last 29 years. The college also provides clinical facilities to the people and believes in conducting 140 sessions for people from all the sections of the society who need it, also providing psychiatric help to those who need it. It offers a wide range of courses such as Diploma in Clinical Pastoral Counseling, Certificate In Supervised Counseling Practice, Masters in Counseling and Psychotherapy and Certificate Course in Counseling. It also conducts various workshops such as Psychotherapy for Post-Traumatic Stress Disorder, Training for Trainers in Premarital Counseling, Cognitive Behavioural Therapy and many more such workshops for spreading awareness and knowledge amongst people. Why should one join Thomas Mar Athanasius Institute of Counseling (TMA)? 1. Unique concept of college: Thomas Mar Athanasius Institute of Counseling has a unique concept of offering courses and knowledge to students while also simultaneously conducting counseling workshops for the people from all strata of the society. Counseling is extremely important and in this college, money is not an important factor as they understand the importance of counseling for people who have less education and cannot afford to gain knowledge from anywhere else for the fear of being misled.